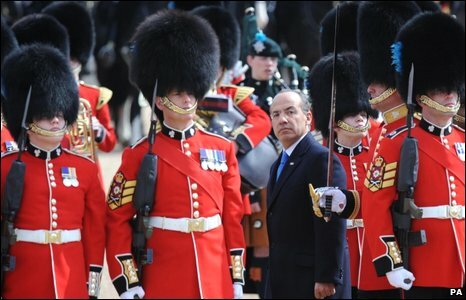 Mexican President Felipe Calderon has begun a four-day state visit to the UK. 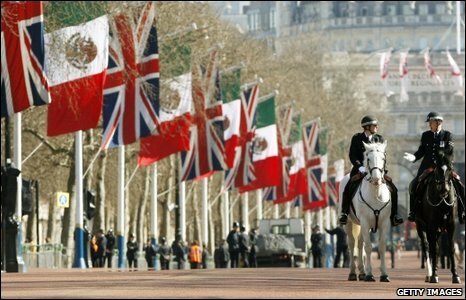 Flags of both nations lined The Mall near Buckingham Palace in London in preparation for a ceremonial parade. 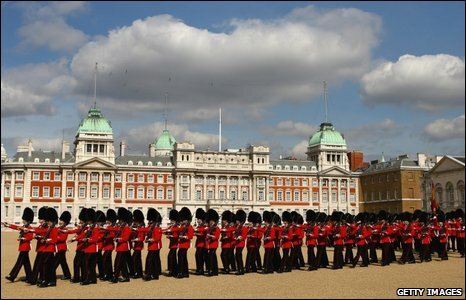 Soldiers march through Horse Guards Parade, where the Queen and Duke of Edinburgh greeted Mexico's visiting leader. Prime Minister Gordon Brown also welcomed Mr Calderon. The Mexican president inspected soldiers from the 1st Battalion Irish Guards, who stood to attention in their famous red tunics and bearskins. 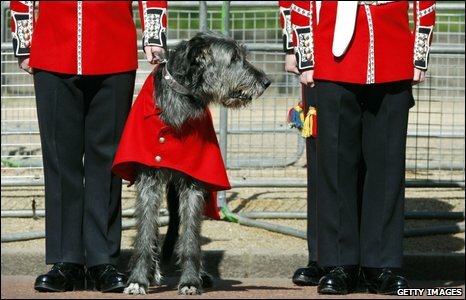 The pomp and pageantry of the state visit even extended to four-legged guards, but serious political talks, not to mention the G20 summit, will follow over the next few days. 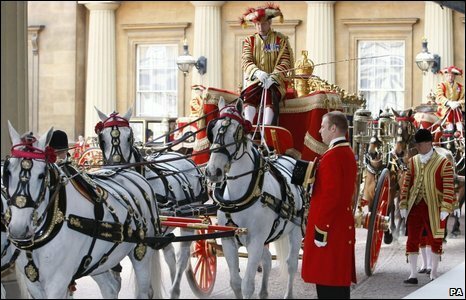 Grand carriages transported the party to Buckingham Palace, ahead of a state banquet there in honour of the Mexican president and his wife. 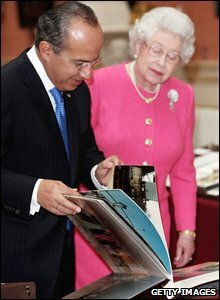 The Queen presented Mr Calderon with a copy of George Orwell's novel 1984, boxed in leather, while she received a Maque tray from the president's home Mexican state. 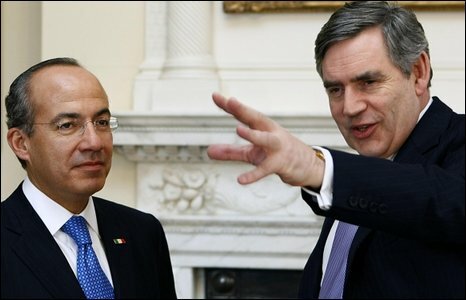 Gordon Brown welcomed Mr Calderon to Downing Street. 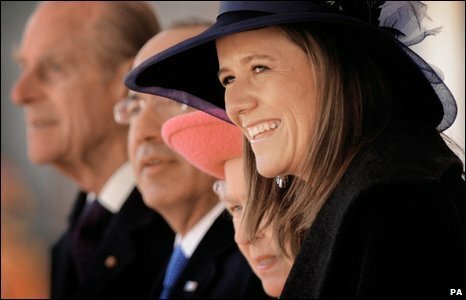 The leaders are expected to discuss the global response to the economic crisis ahead of Thursday's G20 summit. The Queen showed an exhibition of Mexican items from The Royal Collection in the Picture Gallery at Buckingham Palace. Items included a sombrero given to the Queen during a 1973 Mexican state visit.